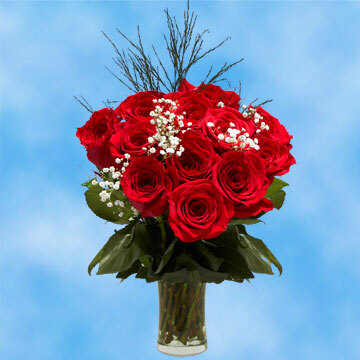 These splendid Red Dozen Rose Bouquet is sure to brighten someone's day! • Diameter when bloomed: 6.7" - 10.7"
One beautiful and elegant Dozen Roses Red Rose Bouquet 12 Stems with gypsophilia and green. A total of 12 stems of Red Roses. A box contains 1 "ready to go" dozen roses (no vase included). Roses are 16"- 18" inches long. 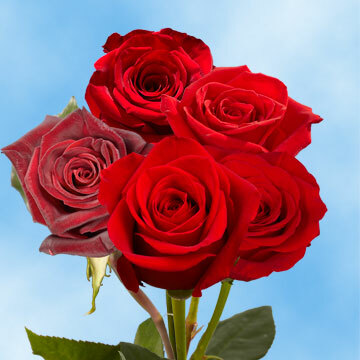 Your Dozen Roses Red Rose Bouquet 12 Stems are shipped absolutely fresh, direct from the greenhouses to you via FedEx. 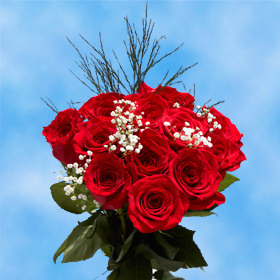 With our prices, ordering 12 Red Roses or more doesn't need to be a costly endeavor. 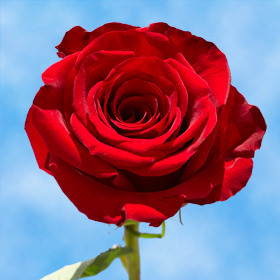 Our wholesale Red Roses are also all freshly-cut and shipped directly from our greenhouse so they reach your doorstep in their best condition. With our best price guarantee you are assure to find the best value.